In response to the growing interest expressed by many of the Auschwitz Institute’s partners in the development of strategies for the inclusion of educational programing that is geared towards younger generations as part of their mass atrocity prevention efforts, AIPR launched its Educational Policies Program (EPP) in January of 2016. With a thematic, rather than regional, approach, the aim of the Educational Policies Program is to develop knowledge, capacity, and experience to effectively integrate educational policies and programming that has been developed for children and young people into broader governmental strategies for the prevention of genocide and mass atrocities. Taking a long-term or “upstream” prevention perspective, the Educational Policies Program makes a contribution to AIPR’s growing toolkit and provides a new avenue of work towards the prevention of genocide and other mass atrocities around the globe by directly engaging with educational actors – both at the State level and in civil society – while expanding AIPR’s target audience to directly include children and youth. More specifically, the EPP does this by developing projects that contribute to educating younger generations on the importance of combatting genocide and mass atrocities – incorporating both global and local perspectives – which help young people to develop preventive attitudes and behaviors from an early age. 1. Providing support to State institutions with competencies in formal education and non-formal educational programming in the development or strengthening of educational policies and programs formulated for younger generations that promote the prevention of genocide or other mass atrocities. 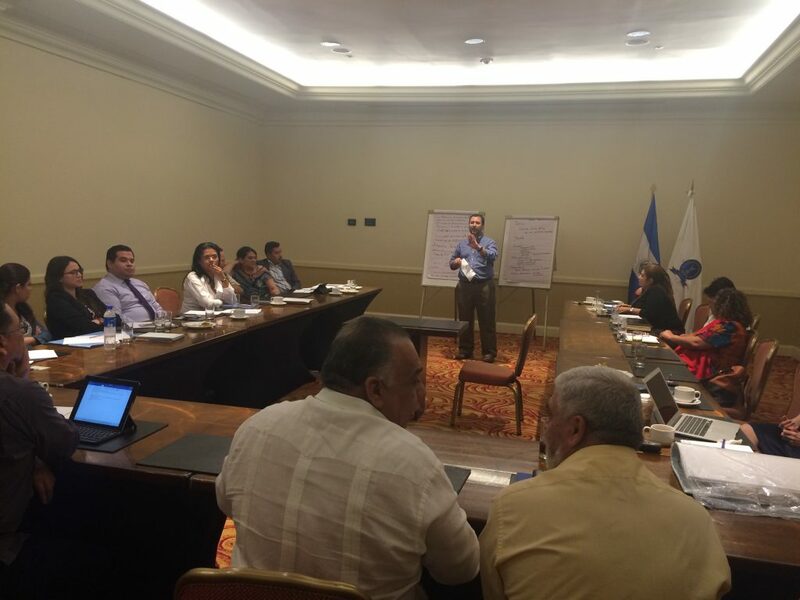 Notably, since 2016, as part of the broader range of activities developed by AIPR in collaboration with the Latin American Network for the Prevention of Genocide and Mass Atrocities, the Educational Policies Program has been working with the Latin American Network Focal Points of Brazil and El Salvador, as well as a group of national stakeholders in both countries, on a project entitled “Education for the Prevention of Mass Atrocities.” Efforts carried out as part of the project are primarily focused on the development of two educational initiatives, one in each country. Taking a preventive lens, these initiatives are crafted to respond to the realities and needs of each specific national context. The project employs a participatory methodology – involving State institutions, the education community, and civil society – envisioned to open spaces for dialogue. This will work towards identifying needs and facilitate discussion on best practices related to the ways in which educational programs can better promote preventive goals. 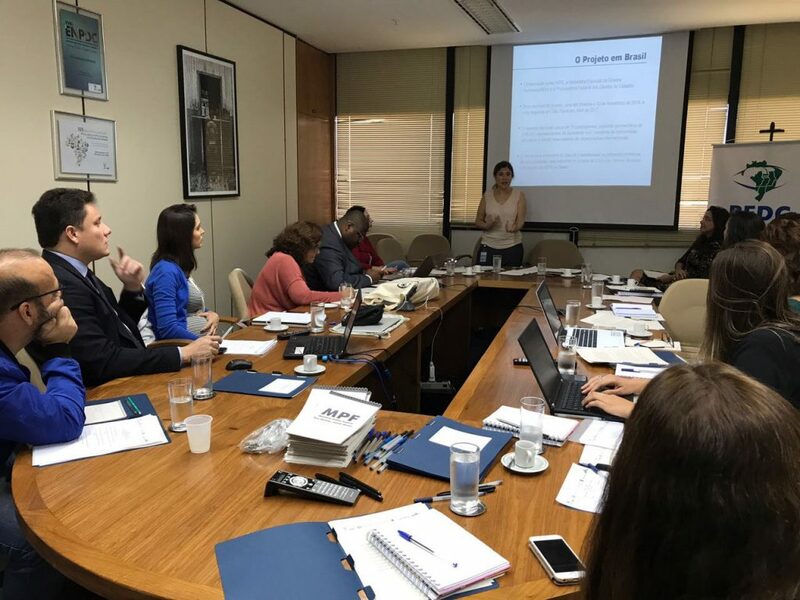 As an overall aim, the project will contribute to the strengthening of democratic values and a culture of human rights among younger generations in Brazil and El Salvador. Beyond the direct impact realized in both countries, the implementation of this project will also help AIPR to fully develop a methodology and concrete tool that can serve to not only enhance the work of the Latin American Network in the educational sphere, but may also lead to the implementation of similar programs in other regions of the world. 2. Participating in and promoting exchange between practitioners and researchers working in similar fields. Taking place at the national, regional and international levels, this effort focuses on the identification of best practices, increasing the flow of information, and the generation of new knowledge related to the most effective ways in which, within a broader and more ambitious framework, educational policies can contribute to the achievement of specific objectives in the prevention of genocide and mass atrocities. 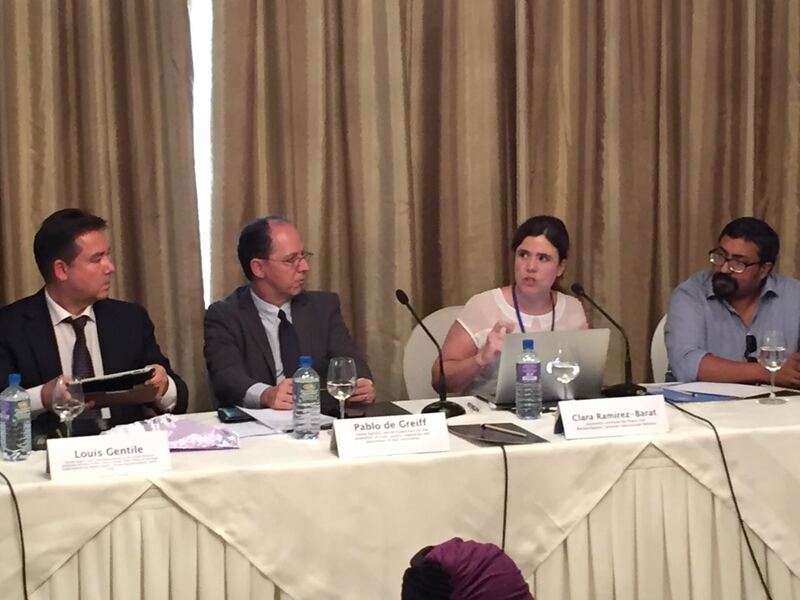 As it is the case with other AIPR programs, the Educational Policies Program invests significant effort in establishing relationships with a diverse variety of actors —including practitioners, policymakers, and researchers working with similar education agendas, as well as those from different fields such as Human Rights and Citizenship Education, Peace Education, Holocaust Education, and Memory Education. Whether through direct cooperation or through participation in multilateral networks, broad fora, or collaborative projects, AIPR seeks to foster an active exchange of knowledge and experiences between different groups on the most effective ways in which educational programming can contribute to the achievement of specific prevention objectives and develop durable alliances with organizations working towards similar goals. 3. 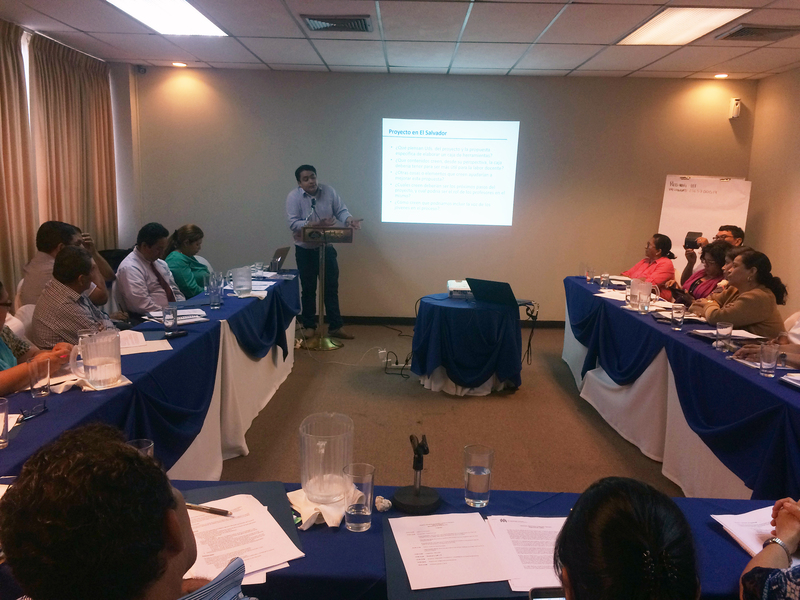 Developing and disseminating research in the field of education and atrocity prevention. Rooted in an international comparative approach, the program emphasizes the spread of knowledge related to ways in which educational policies and programs can be better crafted to promote the prevention of genocide and other mass atrocities. Since its creation, the program has been actively engaged in advancing the production of knowledge towards a better understanding of how educational programming can contribute to mass atrocity prevention. The EPP also seeks to develop and support venues that promote discussion on these topics. A significant part of the program’s focus is devoted to conducting research and consolidating knowledge about the relationship between education and prevention. This research is guided by two primary motivations: the first is the need to better understand the ways in which education efforts fit into the broader prevention policy framework. The second encompasses the necessity of identifying best practices and innovative methodologies within the field of education that aim to contribute to the construction of more resilient societies. As part of this effort, the Program Director frequently participles in a variety of fora, such as workshops, seminars, conferences, and other types of meetings as means to encourage, and engage in, discourse on these topics. For more information about the work of the Educational Policies Program, please contact the Program Director, Dr. Clara Ramírez-Barat.